Includes a gold headband with a red star, red cape, red dress, blue skirt with white stars, gold belt, silver bracelets and red and white striped boot covers. Upload your photos to Instagram with the hashtag #funidelia followed by #funidelia10846. 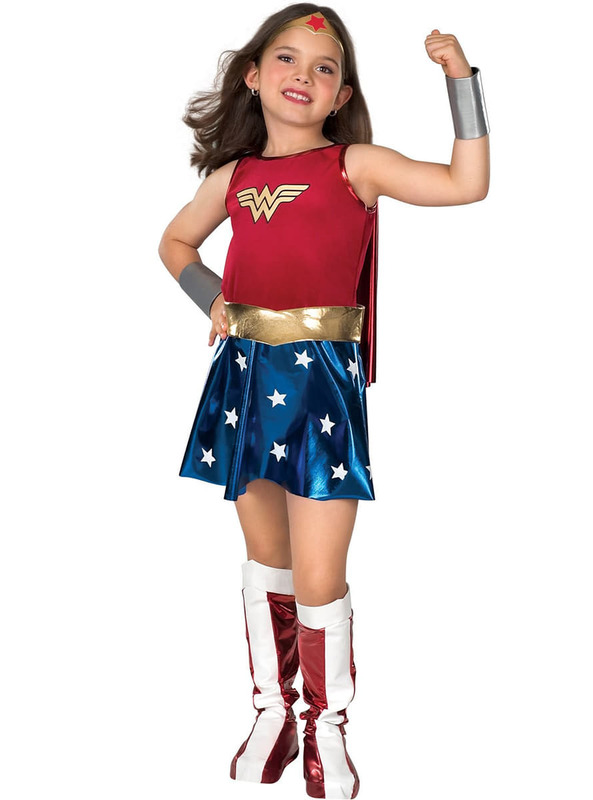 Product Rating: "Wonder Woman Child Costume"